What Is a Roof Warranty and Why Do I Need One? What Is a Roof Warranty and Why Do I Need One on My New Roof? Your new roof is a substantial investment in your home. As we discussed in last month’s blog post, What is a roofing system?, its important to make sure your roofer installs a complete roofing system that meets all standards for your shingle manufacture’s warranty. We also touched on getting both a manufacture’s and a workmanship roof warranty. Why exactly do you need these warranties though? And what is the risk if you forgo them? That’s what this blog post is all about. In short, the warranties you have on your roof, ensure that you get your money’s worth out of your roof and that your home is protected down the road. Here are some ways a warranty can help you. What is a Roof Warranty? A roof warranty is a form of protection against problems with your roof. 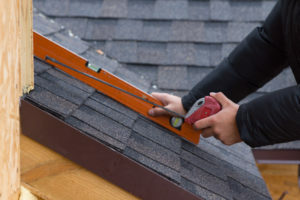 Most people assume that when they experience an issue with this vital part of their home, all they must do is call the roofer that installed the system, and it will be fixed free of charge. 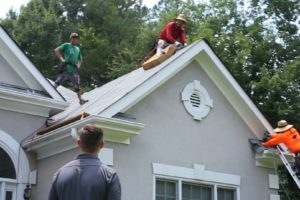 It doesn’t work that way however, and without proper warranties, a homeowner can end up paying a big repair bill, or even for a entire new roof if there’s an issue after the first installation. 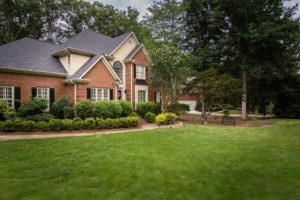 Most roof shingles last the length of time that the manufacturer claims they will, but it isn’t uncommon for their to be defects or problems with how a roof is installed. Repairs are unlikely to be free. Warranties cover circumstances when your roof needs repair, but it is crucial that you read the fine print. There are two different types of warranties: the manufacturer’s warranty and the workmanship warranty. Both cover various aspects of your roof, but they are not interchangeable. The manufacturer’s warranty is intended to cover the physical materials of your roof, which includes the shingles and underlayment. Most manufacturers offer a 20- to 25-year warranty because the materials will generally last that long before degrading. The workmanship warranty is related to the quality of the work that the contractors performed. Defects in workmanship are unfortunately more common than defects in manufacturing. Roof repairs can happen at any time. 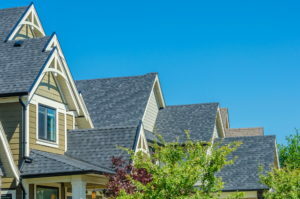 It is impossible to predict if something will go wrong with the shingles themselves or if a contractor will cause a defect during the installation process. However, coverage is necessary in either case. 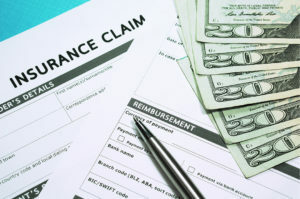 It is essential that you protect your finances in the event of roof damage. The last thing you want is to be caught off guard by a very expensive roof repair that isn’t covered by a warranty. Companies who manufacture roofing materials don’t want to have to pay out on warranties. That’s why they usually try to make sure their products stand up to long-term wear under normal circumstances. However, sometimes the roofing materials cannot withstand the elements and will begin to disintegrate in rain and sun. The worst-case scenarios usually involve an error in installation. 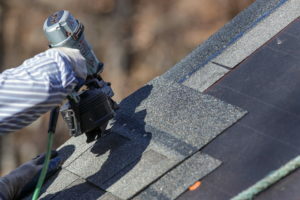 The roofing industry is notorious for having fly-by-night scammers who set up a roofing business, then disappear within months or just a couple of years. People in cities that have had natural disasters, such as Hurricane Harvey and Hurricane Katrina, were victims of roofers who came in wanting to make a quick buck. They didn’t have the experience or work history in the area but took advantage of panicked people trying to rebuild after a tragedy. Both the contractor and roofing manufacturer you choose makes a huge difference. Your roof is a significant investment in your home. Protect it with both a manufacturer and workmanship warranty. PrevPreviousWhat Is a Roofing System? 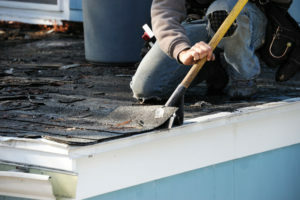 Looking for Athens, GA roofing replacement and repair services? Need a local business who can provide deck building or window installation to your expectations and style? Let us handle your renovation or roofing project! We stand behind all our work, from roofing replacements to window installations. Our team of experienced, licensed, and insured local professionals work exclusively with high-quality materials and products from respected companies such as Atlas Roofing, Simonton, and James Hardie. Call us today at (706) 343-9075 and let us provide you with a hassle-free roofing or renovation experience you’ll enjoy and appreciate. © Delaurier Roofing & Renovation 2019.